Folau just became the highest tryscorer in Super Rugby history. 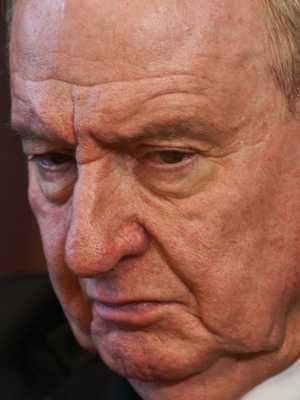 Israel Folau has found an ally in broadcast heavyweight Alan Jones after Rugby Australia vowed to terminate the contract of the Wallabies star after he posted an image which included anti-gay sentiment to Instagram this week. 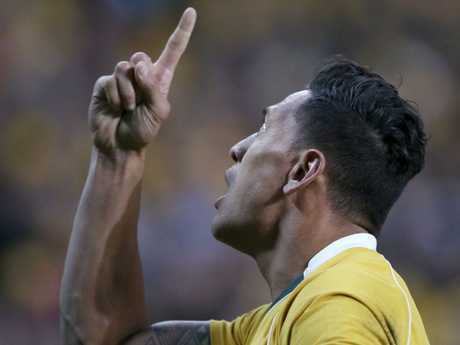 Folau, 30, was widely slammed for calling on "drunks, homosexuals, adulterers, liars, fornicators, thieves, atheists and idolaters" to repent for their sins or else "hell awaits" them. But Jones, a former coach of our national rugby team, is pointing the finger at Rugby Australia. "Rugby Australia are only worried about the quids, they're only worried about the sponsorship," Jones said on his 2GB radio show on Friday morning. Jones has come out in support of the anti-gay former athlete. "That's why they asked Israel to sign a contract in which he wouldn't say this and he wouldn't say that and that his views would be consistent with (Rugby Australia sponsor) Qantas. "He's made comments about religion - who will end up heaven and who will end up in hell. Who cares? It's an opinion. I don't necessarily agree with what he said, by the way, but a lot of people don't agree with what I say. "We're going down a very, very narrow road here and this has gone on and on and on this crap. I'm telling you, out there people are terrified of saying anything. They are frightened, they don't know what they can say. "We're on a slippery slope here ... it's got nothing to do with Israel, or rugby, or religion, or homosexuals, or whatever. Where are we in this country on free speech?" It comes after Hillsong pastor Brian Houston deleted a Twitter statement in which he spoke out against Israel Folau in the wake of his latest social media controversy. Houston, whose Sydney-based church is one of the largest in the world, wrote Folau's "way is not the right way". "So sad about the (Israel Folau) situation. His way is not the right way," Houston tweeted. "It does not reflect the grace of the Lord Jesus Christ. The New Testament is clear, but grace does not point fingers. It recognises our own sinfulness. 'But by the grace of God'." Hillsong pastor Brian Houston appears to have deleted a Twitter statement in which he spoke out against Israel Folau in the wake of his latest social media controversy. Houston, whose Sydney-based church is one of the largest in the world, wrote Folau's "way is not the right way" after Rugby Australia vowed to terminate the contract of the Wallabies star after he posted an image which included anti-gay sentiment to Instagram this week. The 30-year-old was roundly slammed for calling on "drunks, homosexuals, adulterers, liars, fornicators, thieves, atheists and idolaters" to repent for their sins or else "hell awaits" them. "So sad about the (Israel Folau) situation. His way is not the right way," Houston tweeted. "It does not reflect the grace of the Lord Jesus Christ. The New Testament is clear, but grace does not point fingers. It recognises our own sinfulness. 'But by the grace of God'." 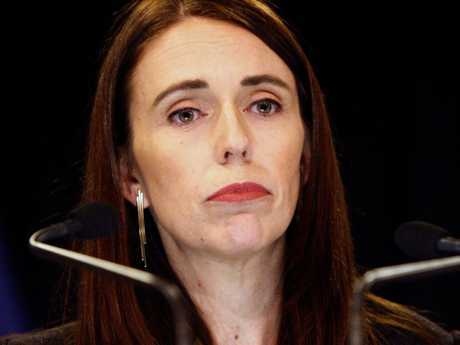 New Zealand Prime Minister Jacinda Ardern has also taken aim at Folau, declaring his comments "damaging". Asked at a press conference about Folau's comments, the popular PM was quick to condemn the statements. "Obviously at a personal level I clearly don't agree with what he said, and (I'm) very mindful of the fact that he is for many a role model. He's a person in a position of influence and I think that with that comes responsibility," Ardern said. "I'm particularly mindful of young people who are members of our rainbow community, there is a lot of vulnerability there. As I say, I totally disagree with what he's said and the way he's using his platform. "Ultimately these are matters for Australia, not for us, but we can hold our views on what he's said." Folau's post on Tuesday was not the first time he has published homophobic rhetoric on social media. In a caption, Folau added: "Those that are living in Sin will end up in Hell unless you repent. Jesus Christ loves you and is giving you time to turn away from your sin and come to him." Wallabies players Samu Kerevi and Allan Alaalatoa have liked Folau's post, but there is no suggestion they condone the message being spread." Folau also posted on Twitter with the same but linking to a news bulletin about Tasmania making the inclusion of gender optional on birth certificates. 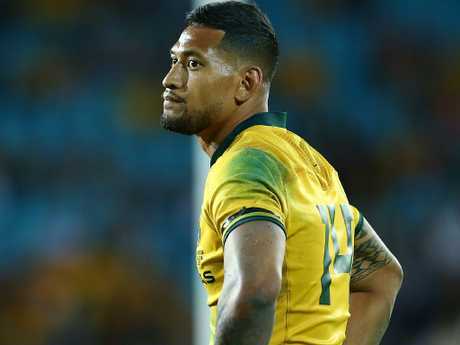 Rugby Australia announced on Thursday night it planned to drop the hammer on Folau following the posts. 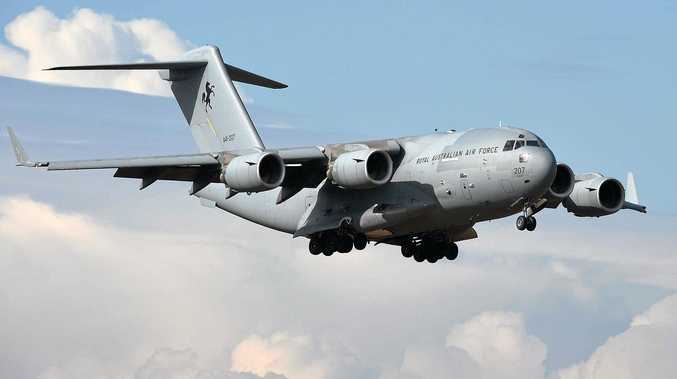 "Rugby Australia and the New South Wales Rugby Union have made repeated attempts to contact Israel both directly and via his representatives since 6.30pm on Wednesday, and at this point he has failed to communicate directly with either organisation," a statement read. "Whilst Israel is entitled to his religious beliefs, the way in which he has expressed these beliefs is inconsistent with the values of the sport. We want to make it clear that he does not speak for the game with his recent social media posts." The governing body was also clear with the next steps. "In the absence of compelling mitigating factors, it is our intention to terminate his contract," it said. Folau needs all the help he can get. Wallabies major sponsor Qantas, who threatened to pull their support after last years' post, said they were waiting for the Rugby Australia response. "These comments are really disappointing and clearly don't reflect the spirit of inclusion and diversity that we support," a Qantas statement said. English international James Haskell didn't hold back in his assessment of the Folau messages. Former Welsh captain Gareth Thomas, who was the victim of a homophobic attack late last year, said he felt sympathy for Folau. Thomas came out as gay in 2009. Folau signed a new four-year contract with Rugby Australia in February. 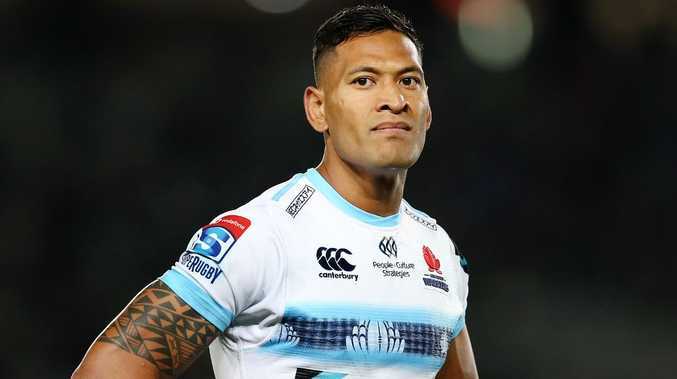 The Sydney Morning Herald reported "there are also beefed-up social media protocols he must observe, and more appearances required at fan days" while sponsors had pulled out of sponsoring the fullback between contracts, including Landrover taking back a car they lent Folau. Folau is set to lose his Rugby Australia contract. The 2019 Super Rugby and Wallabies internationals, including the Rugby World Cup, will be live and on demand on Kayo Sports for just $25 per month for two devices at once on Apple, Android and Telstra TV, for Apple and Google Android smartphones, on web browsers and via Google Chromecast Ultra devices. Click here for your free trial. The Wallabies fullback has long stood by his beliefs and in a story on the Players Voice last April, Folau said he would be willing to walk away from the game. "(Rugby Australia chief executive Raelene Castle and Waratahs general manager Andrew Hore) explained their position and talked about external pressure from the media, sponsors and different parts of the community, which I understand," he wrote. "After we'd all talked, I told Raelene if she felt the situation had become untenable - that I was hurting Rugby Australia, its sponsors and the Australian rugby community to such a degree that things couldn't be worked through - I would walk away from my contract, immediately."